If you are in the market for a sleek yet unobtrusive fish finder that has the extra bells and whistles of bigger and more expensive models, then this new entry from Humminbird’s 600 renowned series has got you covered. The Hummingbird 678c HD DI features the latest in fish finding technology, including the brand’s DualBeam Plus sonar technology that will let you expand your search coverage significantly. The “HD” in the model name stands for its high-definition visual capacity, thanks to a 480 by 640-pixel 5-inch color display with backlight. The “DI” on the other hand represents the Down Imaging system that works together with the SwitchFire technology to create stunningly detailed images and eliminate the guesswork out of fish finding. 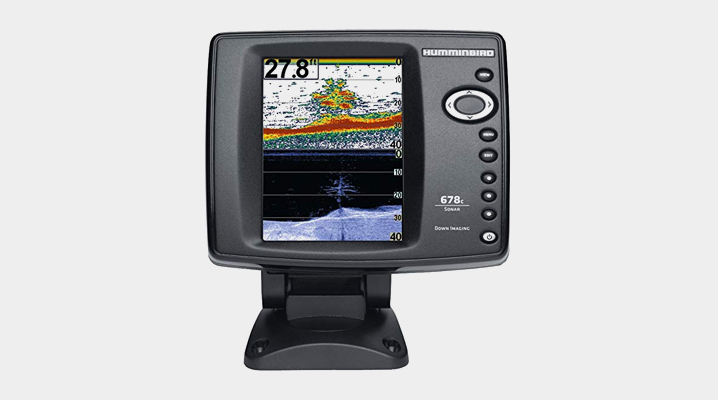 The Humminbird 678c HD DI has a number of advanced technologies for impeccable imaging accuracy. To start with, there’s the Down Imaging system that create underwater images by emitting ultra-thin high-frequency sound waves. The sonar returns from these sound waves basically produce a snapshot of what’s under the boat, so you can see fish, brush, rocks, reefs, and other underwater structures with in stunning detail. This works together with the Switchfire technology that gives full control on how your sonar returns will be appearing so you can locate and target fish with ease. While the Down Imaging and SwitchFire allow a straight down view, there’s also the Side Imaging system that extends 240 feet to each side of the your boat. With these three features working together, you can get a whole 180-degree view! Another great thing about the Humminbird 678c is the DualBeam Plus sonar with individually selectable narrow and wide beams. The precision 20-degree narrow beam helps reveal fish hiding in bottom clutter while the wider 60-degree beam provides greater search coverage. The sonar returns of the two beams can be viewed side by side, individually, or melded into one to get a good picture of what’s underwater. The maximum depths of this unit are 600 feet for broadband sonar and 350 feet for down imaging. The Humminbird 678c provides crystal-clear images for easy viewing thanks to a 5-inch color VGA display with 640 by 480 resolution. It has a split screen feature that will let you view lake charts using the Down Imaging sonar at the same time. There’s also a split screen zoom and bottom lock for added functionality. Another useful feature is the Fish ID+ that uses complex sonar processing to interpret sonar returns and differentiate fish from clutter. Selectable display colors and viewing selections are also available for a customized touch. And with instant imaging update, you always get the latest underwater information. This 600-series model has several user-friendly additions that make fishfinding a breeze. The unit comes complete with tilt and swivel mounts to help you adjust to your viewing area angle with ease. A quick disconnect mounting system is also included for installing and dismounting the fish finder without difficulty. Plus, the 678c has upgradeable software which allows future enhancements of the unit online. The Humminbird 678c HD DI measures 4.5 by 6.9 by 7.5 inches (D x W x H) and weighs in at approximately 4.4 pounds. It is covered by the manufacturer’s 1-year limited warranty on parts and service. The 678c HD DI has a lot of really useful features that do their job exceptionally well. The device is very easy to use and provides fast and accurate results. 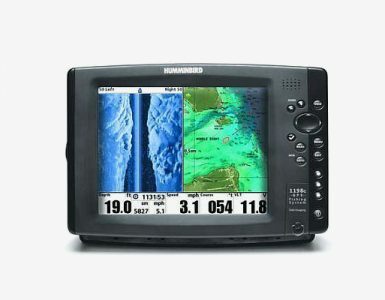 The Humminbird 678c HD DI can be used on a wide range of fishing locations and is a very versatile fish finder, ideal for the fishermen that like to mix up their fishing methods.